Blowout Ibiza launches. 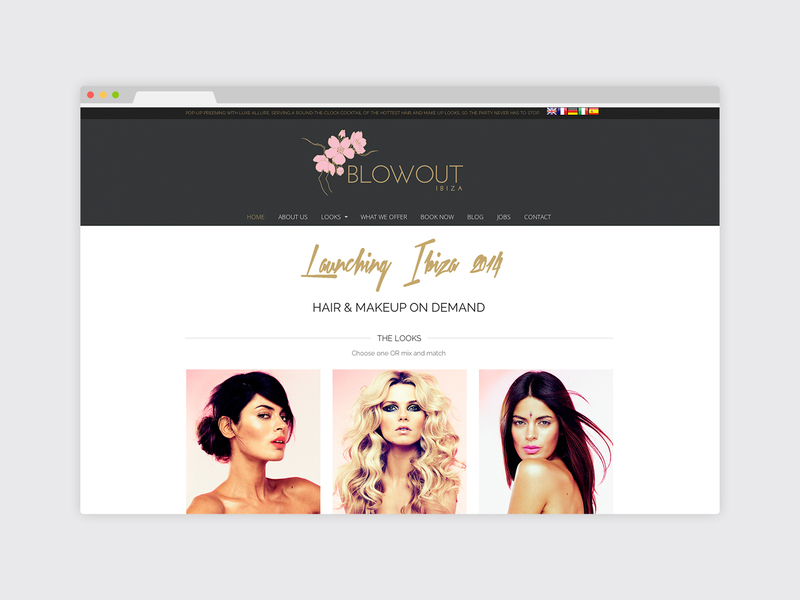 Blowout Ibiza are a new company offering hair and makeup on demand at pop ups, private events and a mobile “we come to you” service. Touch designer Chiara took on the design work for the project developing the visual identity including the branding, printed collateral such as adverts, sponsorship documents, recruitment posters and promotional items. Chiara also designed and built the website and created elements for Blowout Ibiza’s social media platforms.